Creating a memorial allows you to express respect and love for someone who touched your life. Wolford Monument Co wants to capture the essence of your loved one through our monuments. We all live a unique and special life and that should be preserved for generations to come. We also provide quality monument services to maintain the beauty of your grave marker. 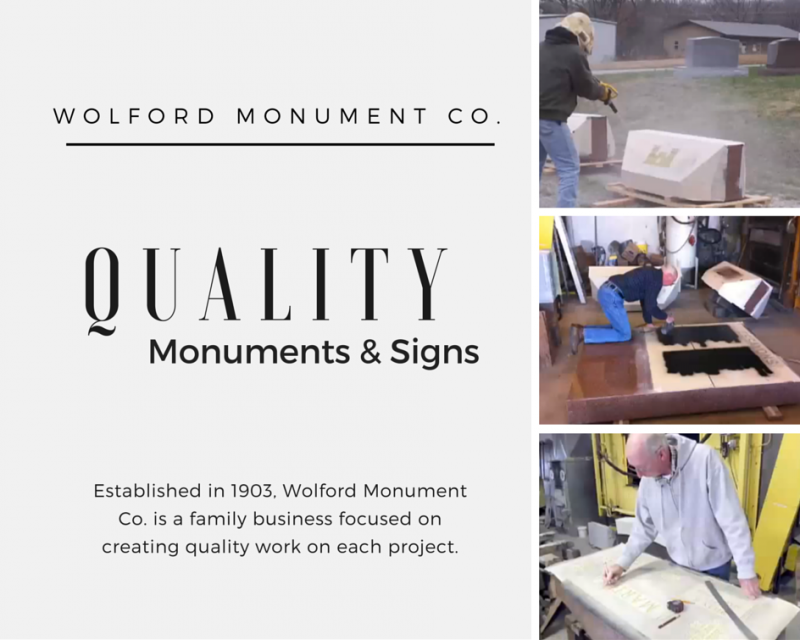 From monument cleaning and restoration to monument resetting services, leave it to Wolford Monument Co to get it done right!